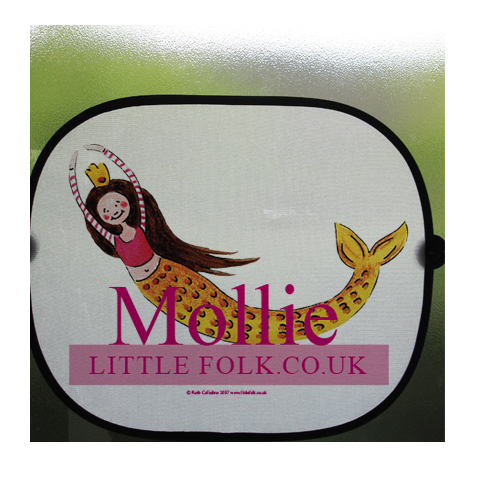 Let your children travel in style with our beautiful personalised car sun screens or sun shades. 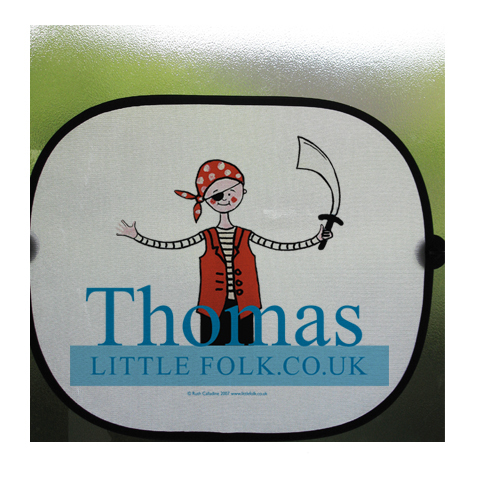 They are ideal for keeping your children and pets cool and shaded from the sun when you are out and about. 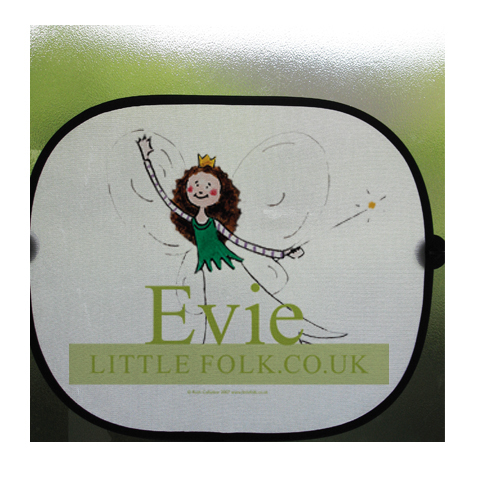 You can choose your favourite Little Folk character and colour of your child's name and logo. 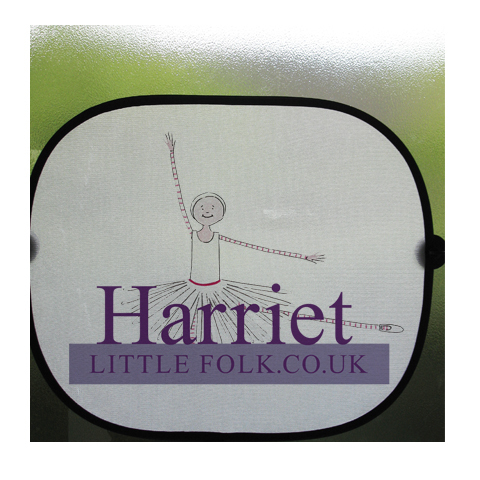 The sun screen easily attaches to the window with two suction pads. It packs away using the same technique as a pop up tent and fit neatly into the glove compartment or door pocket for easy storage.